Having some debt is a part of most everyone’s life at one point or another. 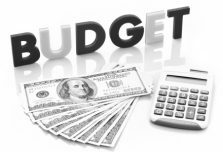 How you budget and manage your debt to avoid debt collection agencies is not as hard as you may think. Granted, some debt is unforeseen and can drastically alter your financial situation, but in many cases your commitment to finding debt solutions can keep you in good standing and avoid being turned over to a collection agency. you owe money and make sure you stick with making your minimum monthly payment. will most often keep your account away from collections. every creditor will do it, but it never hurts to ask. find a reputable company. There are many scams out there involving debt management. consider debt management assistance as a last resort. Getting out of debt requires a plan of action and the right plan you choose can help you to avoid debt collection agencies.